Maureen Mitchell is an inspirational, strategically-focused investment management executive with a noteworthy history of consistently transforming large financial service organizations to deliver significant increases in revenue and sales. Recognized for her global sales thought leadership, coupled with rigorous execution, she has deep expertise in capital markets, distribution and marketing. Maureen’s consensus-building leadership style has consistently produced outstanding results within the investment industry. Currently, she is President, Global Sales and Marketing for the asset management arm of GE, the world’s Digital Industrial Company. Previously, Maureen was recruited to Highland Capital Management, LP as Managing Director, Global Head of Institutional Sales, Client Service and Consultant Relations. Earlier in her career, she was Senior Managing Director, Global Head of Distribution at Bear Stearns Asset Management, leading the global asset management business. At the onset of her career, Maureen was Vice President, Consultant Relations for Scudder Kemper and Vice President, Endowments and Foundations for U.S. Trust Company. She has served as a director on the investment boards of a number of U.S. and European funds. 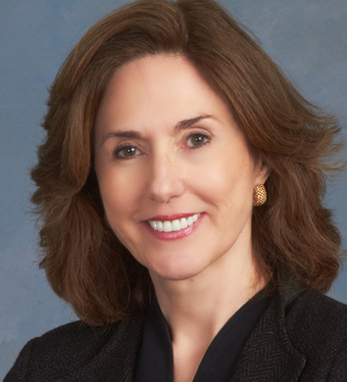 Maureen is currently a Director for GE Asset Management and GE Investment Distributors, President of GE Investment Distributors, and an active member of the Investment Company Institute (ICI) Board of Governors. A passionate advocate for higher education, Maureen has served on a number of nonprofit boards, including the Lebanese American University Board where she chaired both the Audit and Investment Committees. Currently, she sits on the boards of the 21st Century Foundation for The City College of New York and She’s the First, which named her its 2015 Mentor of the Year. Maureen is a frequent speaker on women’s leadership, business development and client management best practices. Raised in New York City, Maureen is an honors graduate of The City College of New York and received a graduate degree from Fordham University. A four-time Irish America Business 100 honoree, she is a first-generation Irish American with roots in both county Sligo, where her father worked as a lobsterman before immigrating to the U.S., and county Galway, the birthplace of her mother. She has two daughters, with whom she has traveled throughout Ireland. A full profile of Maureen Mitchell appears here in the June / July 2016 issue of Irish America.